A campervan can be the perfect getaway for those holiday goers with itchy feet – you can travel to all those places on your endless bucket list with everything you need on four wheels. Grab a map (glasses if necessary), grab a friend, put your feet up, turn the radio on, and explore all the stunning nooks and crannies of the UK! Get lost in the beautiful scenes of England, Scotland, Wales and Ireland with a guaranteed bed to sleep in and a fridge to store the beer in. The beauty of a Campervan is its ability to cater to everyone. If you want a weekend getaway with your partner, a coast to coast two-week holiday with your family, or if you and your friends want to hit up Glastonbury festival, the Campervan is the unkept secret you need to know! Also, small children love campervans! It’s a mystery machine with ladders, folding tables and revolving chairs which will keep them occupied for hours. They have a chance to enjoy the fresh air and play outside for hours on end (which is a rare sight these days!). Bringing games adds to the fun of living in this playground on wheels, whilst you can travel at your own leisure. What campervan do I hire? When someone says campervan, the majority imagine a retro little VW cruising down the coastline. They aren’t wrong! Our website makes it easy for you to find a location, pick your favourite quirky little campervan to hire in the area and book it for whenever suits you! Finding yourself in a classic VW for the perfect retreat can be easier than you think. Classic campervans are perfect for two people; although many may be advertised to fit four, the reality can be rather roomy when factoring in extras such as luggage. Pop-top campervans give extra room for bedding, but if you do decide to depart in a party of four, maybe consider bringing a tent for an extra bedroom; it can make it all the more fun! If you’re looking for something slightly more comfortable and reliable, a modern campervan may be worth considering. Campervans such as the VW Transporter, Mazda Bongo and Toyota Previa would offer you a slightly higher engine drive, which is more efficient for those who want to visit villages and towns at longer distances. They can house up to four people, or if you have a slightly smaller one, two adults and two children. So, you’ve decided to hire a campervan, but you don’t know what to expect; rest assured we can help elaborate on what you will be living in for your journey, and we think you’ll be pleasantly surprised! Let’s start with the most important thing; food! The ‘kitchen’ in a campervan includes two hobs, a fridge, a water tank, sink and tap. It may not be a gourmet kitchen, but you could definitely cook up some interesting meals with that! It all adds to the fun experience of living in a campervan, and if you’re not feeling brave enough (which is completely understandable) I’m sure a few local pubs will do the trick! Campervans usually have foldable beds to sleep on, leaving plenty of room to live in and drive in when you’re on the move. This nifty facility is not only space conscious, but adds the element of excitement to your holiday! Also, it doesn’t hurt to know that when you’re snuggled in a bed that took you 3 seconds to pull down, you can watch campers still trying to locate their tent pegs (you’re allowed to be a bit smug when you’re in a campervan)! Campervans are neat little things with other features such as fold out tables, swivelling front seats to socialise and indoor lighting. You can pretty much do anything in these vans! When it comes to washing facilities, it is generally accepted that only motorhomes have fixed toilets and showers. But it’s not the end of the world; most sites have washing blocks available to you at your own convenience. 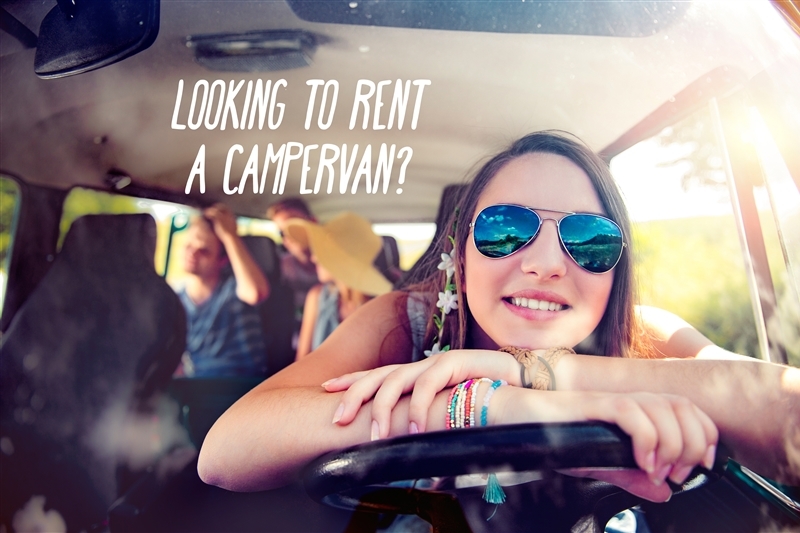 If you do decide to hire out a campervan, the only essentials you’ll need to bring is food, clothes and games! The providing company should supply you with bedsheets, cooking equipment and outside chairs and table, making an easy task of packing. How much will a campervan cost? - How many miles are you allowed, and how much would you have to pay if you were to go over that limit? - Are there any additional costs for insurance? - Is there a minimum age for the driver? - What are the arrangements for breakdown cover?